One of the main topics in pitching today is the overuse of a player’s arm. While this can most certainly be a cause of soreness, pain or “dead arm”, we are curious to see definitively if a player’s mechanics could be to blame. One way we are looking to test this, is to get a baseline analysis of an overhead thrower (mainly a baseball pitcher) and compare subsequent analyses to the baseline to determine if a change in mechanics could be the culprit of arm problems. I mean look at the photo above to see just how unnatural the pitching motion is, OUCH! One theory is that a pitcher’s mechanics should be at their best right at the end of the training season, or at the very start of their competition season. For a high school baseball pitcher, that would be early March, or Test 1. As a pitcher gets into their game schedule, the focus can shift from mechanics to simply results of getting hitters out. 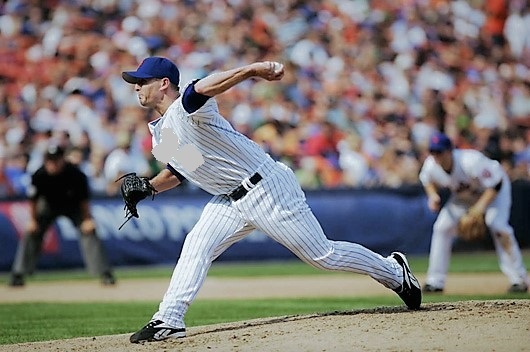 While a pitcher’s arm may feel great the begin the season, all too often we see pitcher’s who begin to experience soreness, pain, “dead arm” once they get into their season. At this point, we administer Test 2 to compare mechanics at the most in-depth level to the baseline test when the pitcher felt good. If we notice a discrepancy from Test 1, we can work on fixing that issue to hopefully help the pitcher get back to where they felt good. Lastly, at the end of the season is when a pitcher usually has been “toughing it out” to get to the finish line and help the team win that last game, or get to the playoffs, or go to state, etc. This would be the time we administer Test 3 to see if mechanics are the same, or again, if the pitcher has focused on the results and strayed away from the mechanics that put him in the best position to maintain a healthy arm.